Analog gaming is back. There are so many quality board games produced in the last few years and it's not going to stop soon. We have big announcements for 2017, potentially new hits. So why do we see so many board games digitalized? Yes, it's hard to match the feeling of playing board games face to face with other people. But we all know what it takes to organize the board game nights. People have jobs, commitments, families. Making the time work for all is often impossible. Also, sometimes you want to play with your friends or family members that are far away. Sometimes you would like to try something before you buy it. There's also a time that you would like to play a game but nobody is around. Virtual board games can help with all that. You can play from your computer with people all around the world. Some board games have their own official digital implementations, like Dominion or Days of Wonder games, like Ticket to Ride and Splendor which you can play on Steam or on your mobile device. Beside official apps for specific board games, there are also platforms for building and playing board games. The most important ones are Vassal - an open source game engine, Tabletop Simulator - which is actually a sandbox game with the realistic physics engine and a bunch of official and unofficial board game modules, and Tabletopia - online sandbox arena with official board game adaptations and a big catalog of games. Out of those, Tabletopia might be the easiest to jump in because it has a simple interface, it can run in the browser and lots of games from the catalog are free to play. Mindclash Games, makers of Anachrony and Trickerion have announced a new game, Cerebria - The Inside World! The few images that they have revealed look gorgeous, as you might have expected. Man vs Meeple crew are talking about new board game releases. What's Next on your game table? Inspired by 1930’s detective stories, WizKids’ new Deadline is a cooperative mystery solving game, scheduled to release in June. FryxGames is announcing the first expansion to Terraforming Mars. It will be released this summer and consists of a double-sided game board presenting two new areas of Mars. FLATLINE Releasing in Spring 2017! Renegade Game Studios, the premier publisher of original games will release FLATLINE, a stand-alone game based in the FUSE universe. Students and staff of the Studentenvereniging Ceres (student association) in Wageningen, Netherlands have passed Go and landed in the record books after creating the world’s Largest board game, Monopoly®. At a certain point, a game goes from being one you don't have, to one you decide to buy - what do you find are the motivations that drive that decision to get the game? Tom Reuhl of Ding and Dent writes about a large project of painting Twilight Imperium miniatures. Some very good tips for miniature painters. A short post by Portal games on the experience of playing and building games. "The games, the best games we play these days, are truly amazing and provide experiences you cannot compare to anything else. No movie can do this. No book can do this. No video game can do this." Travel Games: 8 board games for your bag! In the typical modern life we are often rushed off our feet. Travelling to work or school, meeting deadlines etc. So it can often be difficult to find time to sit down with a group of people to play some games. Why not chuck some board games in your bag so that when the opportunity arises you are always prepared. Jonathan H. Liu and other people from GeekDad share their most anticipated Kickstarter games that were funded during 2016. Jamey also has his own Kickstarter blog. He is perhaps one of the biggest reasons I successfully funded my campaign for Kill the King. 95% of everything I know is because of what he has taught me. In this fun 2 players cards game, you'll be a Clan leader who will go against the opponent's fortress! Seven years after the game's original 2010 release, Alien Frontiers relaunches for a new generation with these definitive editions. In the first true competitive tower defense, build towers on your path to kill monsters before they storm your city! You cleared the zombies out a year ago! Now the forest is full of weird lights. Grab some followers, work together and investigate! An expansion for the excellent Santorini reviewed by Eric Yurko of What's Eric Playing. Fun to read detailed analysis with great images. Board to Death reviews Cavern Tavern, a worker placement dice rolling game that was funded on Kickstarter last year. You’ll take your first tentative warp jumps into new systems containing unique planets and discover existing civilizations or huge space creatures or dangerous hazards, colonize new worlds, build up your industry, culture and research capabilities, raise fleets and wage war, all while completely overacting everything you do in true Shatner style. Rahdo runs through a boardgame Coal Baron: The Great Card Game, based on the popular board game, Coal Baron, originally published in 2013. As towering and ancient as it’s title suggests, Citadels is a legend in board gaming. Originally released back in the year 2000 Citadels has cast a long shadow across the hobby. Creaking Shelves review 2016 edition. Zee, Sam, Bryan, Santi, Roy, André, and Tom of The Dice Tower are going through all of the reviews they did the last week. 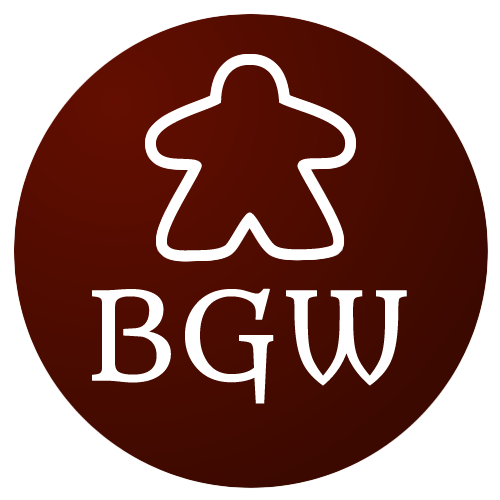 Tom is a co-creator of The Dice Tower, one of the most productive video podcasts about board gaming with reviews, top lists, discussions and other topics from various authors. He does regular board game reviews and hosts discussions with Zee Garcia and Sam Healey. Tom is honest and states his opinion whether it's positive or negative, which is one of the reasons why The Dice Tower is so popular. To learn more about him, check The Dice Tower Contributor page, Scott King's interview or his BGG profile. P.S. The Dice Tower is running an IndieGoGo campaign for season 13 at the moment, so check out if you are interested.